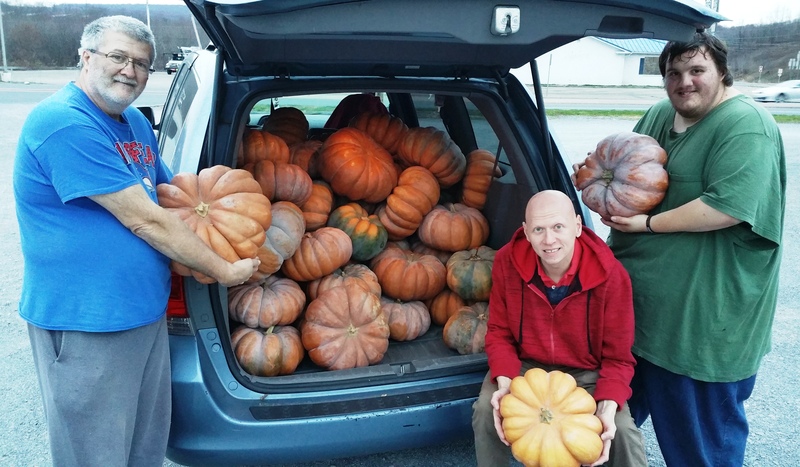 The Tamaqua Salvation Army is giving away free apples and fairy tale pumpkins between 6 PM and 8 PM today (Monday, November 9, 2015) in the rear of the Salvation Army building, 105 West Broad Street, Tamaqua. Park in the rear along Rowe Street. 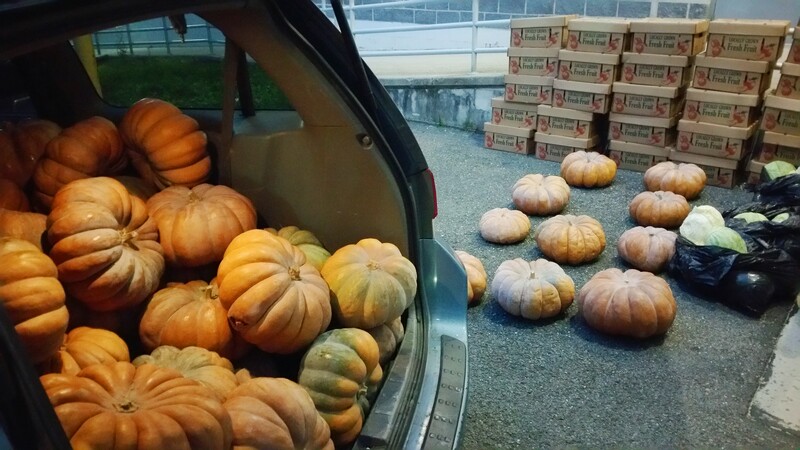 Two bags of apples and (two small pumpkins/one large pumpkin) / per household. First come, first serve. Anyone may stop and receive items, no matter of income. Fairy tale pumpkins have deep ribs, a brownish-mahogany color, a smooth exterior and a sturdy stem. Slightly flattened, these pumpkins average eight to twenty-five pounds and have thick, sweet, vibrant orange hued flesh. Click HERE to learn how to prepare a pumpkin dish. Items were donated by Dunn’s Farm Market in South Tamaqua. Pictured today are Tamaqua Salvation Army volunteers, from left, Jesse Durning, Eric Becker and Frankie Latham, moving items from Dunn’s Farm Market in South Tamaqua to the Tamaqua Salvation Army. Multiple vehicles were used.